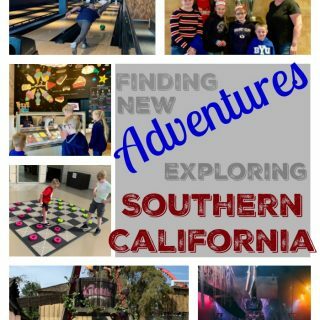 You are here: Home / Review / Unique Features of Springfree Trampolines! Unique Features of Springfree Trampolines! I received a 092 Large Oval Springfree Trampoline for review. All opinions are my own. No Springs! Springfree gets it’s name specifically because of this feature that makes them really, truly unique. You won’t find any metal springs at the edge of this trampoline that can catch legs, fingers, and other body parts when jumping. Those traditional springs can be dangerous, even with a pad covering them. Instead, Springfree uses high-performance compostie rods that give you the bounce without the jarring effect of traditional springs. Best yet, the rods are all below the trampoline’s jumping surface, and not sitting at the edge within the netting. A Hidden Frame – The metal outer frame is well below the trampoline’s jumping surface and can’t be reached or hit while you jump. There is literally nothing for you to accidentally hit into – no frame, springs, rods, or even hard side poles! Zippered Opening – Traditional trampolines have a really wimpy and easy to break zipper. The Springfree’s zipper is really heavy duty and quality with a dual sided zipper pulls. The other thing I really like is the opening only opens up enough for an adult to be sitting or to crawl through the opening, meaning that even if your kids leave the zipper unzipped, like we know they’ll likely do from time-to-time, the opening is pretty small and gives minimal room to fall from the opening. Of course, the netting should be zipped close for a safe jumping environment. 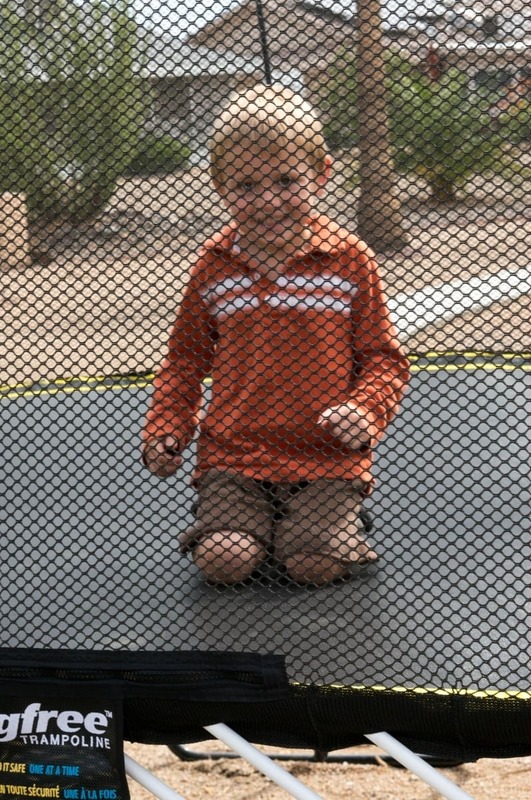 SoftEdge™ – The edge of the trampoline is firmer than the center, but still soft and gives for jumping. This safety area replaces a typical mat and is it is 30x more shock absorbent than typical pads. It will feel like a trampoline at the edge still, but with all the safety and support you need for a safe jumping experience. Easier on Joints – The use of rods rather than springs makes the jumping surface give a softer and smoother bounce that doesn’t leave you with such a jarring bounce back that is typically hard on joints. Another thing I noticed, my youngest son at just 20 months doesn’t go toppling over just trying to jump. 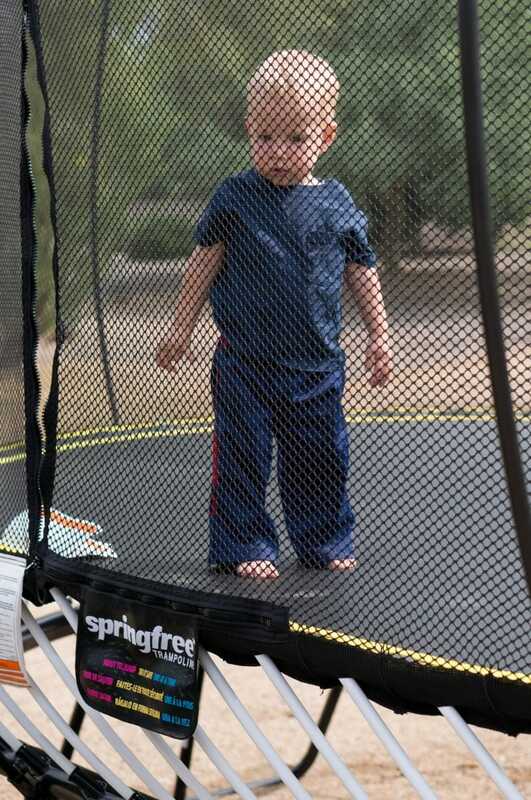 He can bounce without actually jumping and enjoy the trampoline, too! 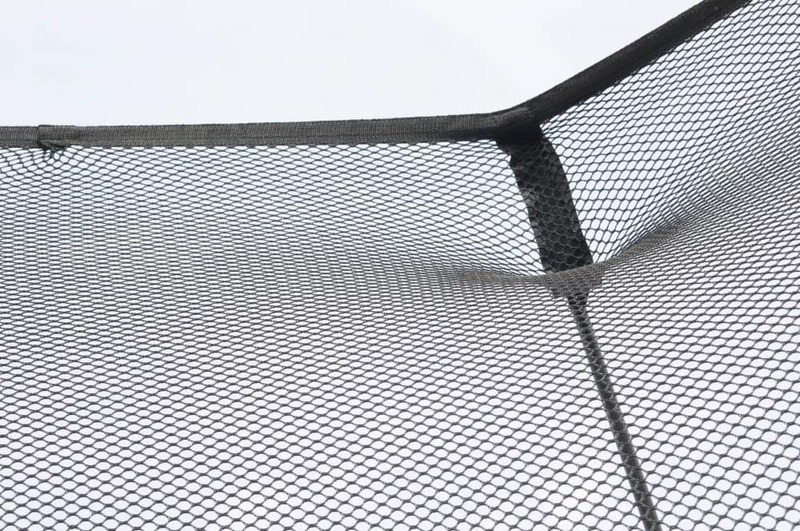 FlexiNet™ – The outer enclosure net that keeps you safe is super flexible and can support a fall against the net. This prevents and provides a cushion when your jump turns a bit crazier than expected. The FlexiNet directs falling jumpers right back to the center of the mat and back to playtime safely. 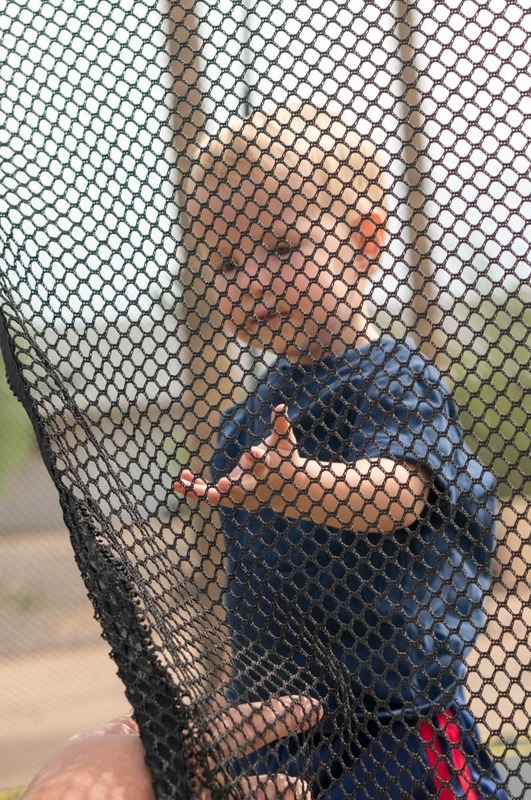 This net might be here for safety and protection, but it’s really, really fun to jump against, too! Weatherproof and UV Protected – Springfree trampolines are weatherproofed an UV treated to help keep your trampoline in optimal condition for years to come. Traditional netting doesn’t have any UV protection and can rip and fail when you are depending on it, not even realizing that it may be a fragile. No Foam!! A year ago, we got a small kids trampoline that had foam pads over the springs as well as foam padding covers that looked like pool noodles covering the metal frame. Within just a single year, all of that foam covering has completely deteriorate and broken off in pieces. Springfree doesn’t use foam – they don’t need to! 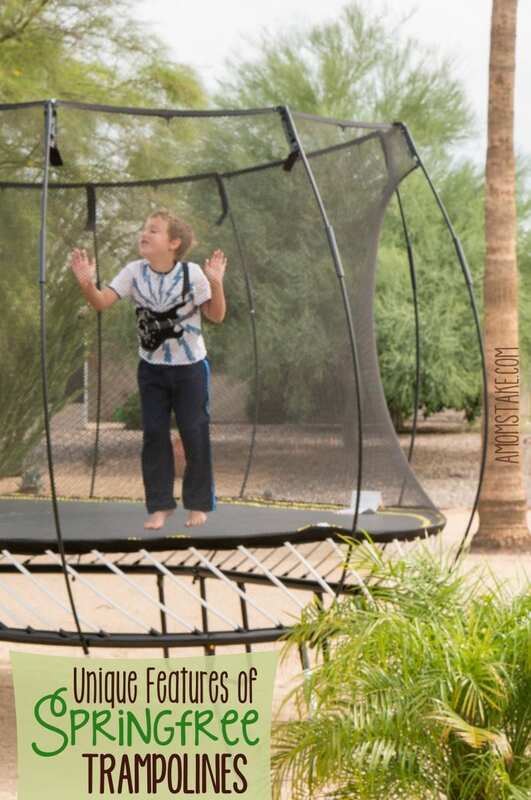 This eliminates the quick deterioration that happens with traditional trampolines. This video does an amazing job showing you just how truly unique and different Springfree trampolines truly are! My boys were beyond excited to try out the Springfree Trampoline. In their own words, this trampoline is, “COOL!! It makes you jump higher!” I even climbed on for a gentle jump, despite being pregnant, and was really surprised how soft the rebound really was. While I won’t be out there jumping like crazy for the next few months, I was extremely impressed that I didn’t feel the impact like on a traditional trampoline. 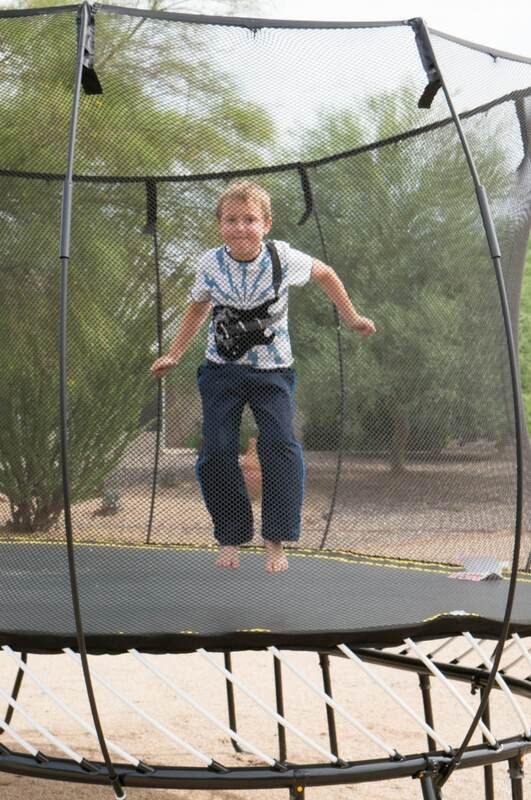 The Springfree Trampoline helps me feel confident in the safety of my kids while letting my household of rowdy boys get outside, get exercising, and have fun all at the same time! Springfree Trampoline has a range of 6 different sizes to suit your needs and space available. The trampoline shown above is their 092 – Large Oval Trampoline. Find out more about Springfree Trampoline at springfreetrampoline.com. Which unique feature stands out to you most? we have one and my kids use it nonstop. They love playing basketball on it. My teenage daughter has sleepovers on it! The kids think they are playing but it is amazing exercise. Ha! so fun! I bet your boys are in bouncing heaven! That’s an awesome trampoline! My kids would love to have a trampoline someday! 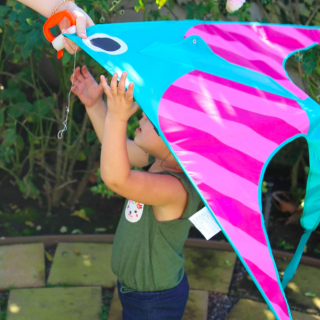 I love that it’s one less risk of injury for little ones. Springs hurt! Trampolines are fun for the entire family. They are also good exercise. Wow. I do like the look of that. Has some great features also. Amazing! I never really thought there could be a safe trampoline! I would feel much safer if my kids went to play on one of these! I’m so glad someone finally created this. I havewitnessed so many people get pinched by those springs. OUCH!!!!!! I Love this my boys would totally squeal with joy for the trampoline. I love that it is enclosed for the safety of the kids as well. OMG my boys would total love this! I really like that it is enclosed for the safety for the kids. We do have a trampoline with springs and I am always worried about my children getting hurt on it. So much so, we have thought about burying the trampoline to be level with the ground. I love the idea of going spring free. If I had known about that option before we bought ours, it’s the route we definitely would have taken! We all had big trampolines growing up. Can’t say we ever had any problems or mishaps. This design is intriguing. As long as the price is comparable, I am sure more people will switch. Maybe this would convince hubby to let us get a trampoline. He’s always worried about safety, but I think it would be so fun to have one for the kids! After watching this video, I’m terrified. I want to take down our trampoline and not let my kids go on it. I need a spring-free trampoline! The reason I have not purchased a trampoline is because of the safety concerns. Sounds like a great trampoline that I will have to check out. My girls would flip for a trampoline!!! Love that its safer and has the net around it! I had no idea spring-free trampolines even existed! It looks like a lot of fun. We love trampolines! Spring Free are really nice! I love this and never knew they had trampolines without the springs. Very smart idea. I’ve always wanted a trampoline for my kids – all of them, even the older ones. I’ve just been so scared of them getting broken bones. I watched the video you posted and I LOVE how safe this one is compared to the traditional ones. Oh my goodness! 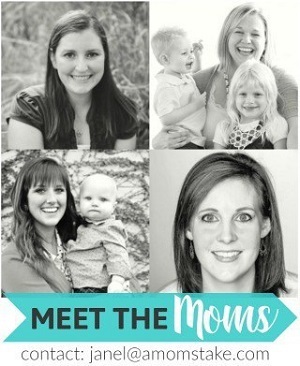 I would love one of these — how cool that you got to try it out, especially as the mama of four boys. I bet they’re burning a lot of energy! Now this is something I would feel that my son is safe in! Thanks for the info! We have always wanted a trampoline! (yes the kids AND us lol) but we were afraid of some of the “difficulties” we’ve heard from others that had one! This sounds amazing! 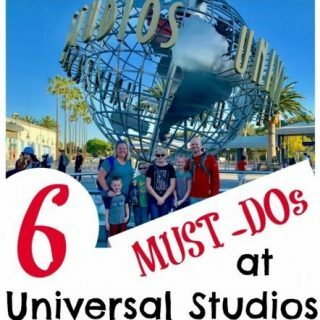 I will definitely be checking this out! We had a trampoline when my girls were little and I always worried about them getting hurt. I love the safety features of this one! We used to have a spring-free trampoline. I liked that the kids couldn’t get hurt as easily by getting caught in the springs, which had happened a few times with an older trampoline. Spring free trampolines are incredible. I love trampolines, but I don’t like how dangerous traditional trampolines are. Our neighbors have an older trampoline. 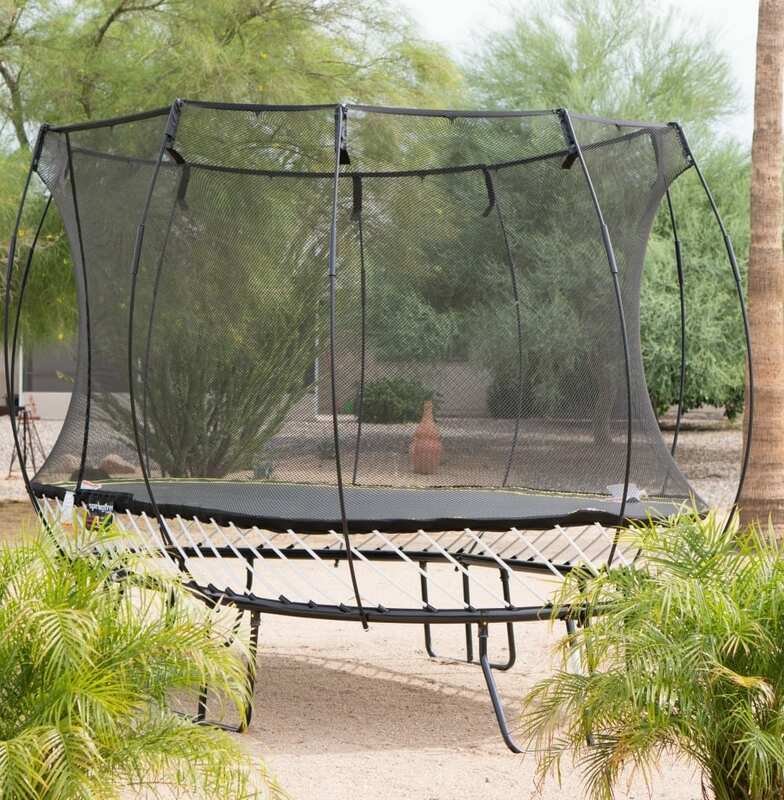 I really like the features and the look of the springfree trampoline! These are really cool! We have a spring trampoline and I really don’t like it. I am constantly afraid of the kids pinching their skin when they get on. This sounds really good.We do not have a trampoline at home but my kids go for trampolining lessons after school. Yeah, trampolines are deadly. I’m a fervent anti-trampoliner. While this design takes away the hard edges and springs, what they aren’t counting on is the broken ankle aspect, bad landings, or multiple kids. I watched 3 kids break ankles when I was a tween. My mom begged me to stay off, so I did. Those girls had to go to theme parks in casts, dances and couldn’t swim all summer long. Not to mention the scars! That is so awesome. I’ve been thinking about getting a trampoline for just some extra movement. This one just went into the running. My kids have been begging for a trampoline, but here in MA, if you get one your homeowners insurance skyrockets, so I have been holding off. i like that they are safer than the ones with springs. i would definitely look into getting one of these for the entire family. 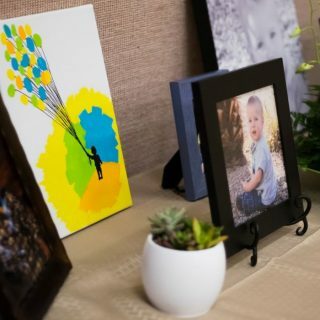 I love how much better this one looks compared to others, and spring free can make any mom feel more secure about this product. Awesome!